Starting at a very young age, I remember receiving an annual Valentine’s card from my grandfather in the mail. This sweet tradition has continued through the years; in fact, I even received a sweet card from him last year. Sending personalized cards to loved ones is such a fun way to feel love and admiration from grandparents. Now, having a kid of my own, I have started the tradition of sending Valentines (from my son) to all of his grandparents and great grandparents. 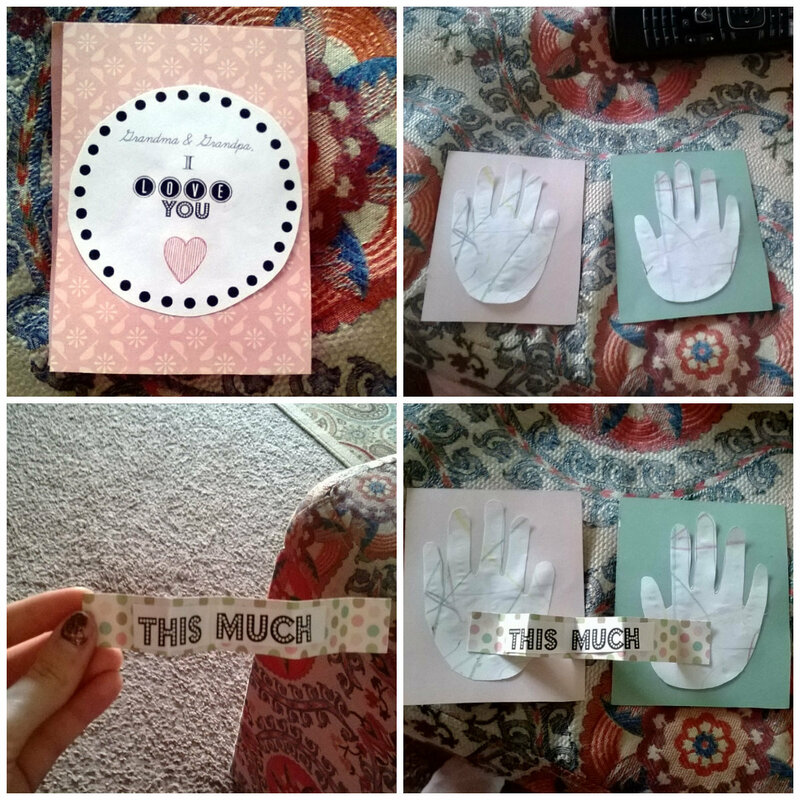 As I looked online for ideas, hand print Valentines caught my eye; I decided to run with the idea and make it my own. This hand print Valentine’s card is such a fun and personalized way to send hugs and kisses from across the country. 1. 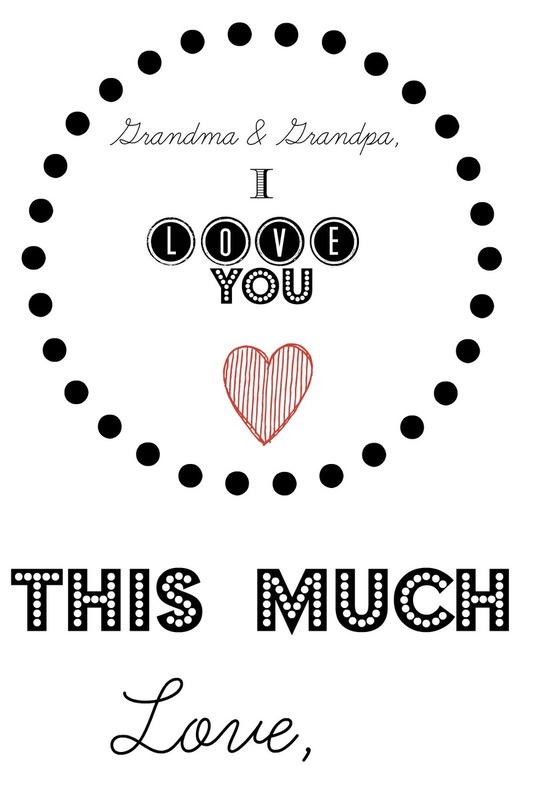 Cut out “I love you” printable in the shape of a circle and glue it to the front of the card. 2. Trace and cut out a set of your child’s hand prints. Because I wanted to make my son’s hand prints a little more personalized, I had him color on a white piece of paper and used that piece of paper when I cut out his prints. This way, his little hand prints also double as a piece of artwork. After all, what grandparent doesn’t enjoy receiving a picture drawn by their grandchild? 3. Glue (or tape) hand prints to the inside of the card. 5. Fold this piece of paper (as shown in the picture) and attach it to the middle of each hand. 6. Write a personalized message on the back of the card and get ready to send in the mail to grandma and grandpa! 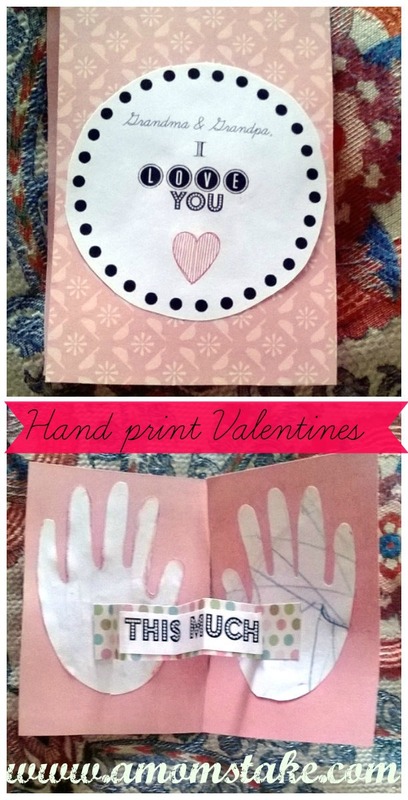 Download Hand Print Valentines Printable! I love this card! I think it would be great to make for little ones to make for birthdays as well or even a “thinking of you” card.